According to the foreign debt statistics released by Bank Indonesia (BI), Indonesia’s foreign debt at the first quarter of 2018 reached US$356.235 billion. Of this amount, the outstanding public sector foreign debt amounted to US$181.4 billion (51 per cent), while private sector foreign debt amounted to US$174.8 billion (49 per cent). Public sector foreign debt position is concentrated in public administration, defence and compulsory social security, while private sector foreign debt position is dominated in the financial and insurance activities, manufacturing, electricity and gas supply and mining sectors. These sectors amounted to 72.1 per cent of the total private sector foreign debt. This project involves the construction, ownership and operation of the project by the borrower of a coal-fired power plant with a capacity of 1GW in Cirebon Regency, West Java Province. This project is a part of the government’s plan for the construction of 3.5GW power plants in a period of five years, from 2015 to 2019. 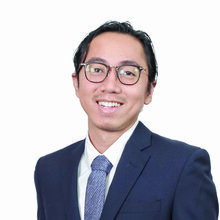 In Sharia principle securities transactions, the government of Indonesia issued a global sukuk of US$1.0 billion five-year and US$2.0 billion 10-year Reg S/144A trust certificates due in 2022 and 2027. The sukuk are structured based on the Shariah principle of Wakala. These global sukuk are the largest US-dollar sukuk issued by the government of Indonesia to date and the largest non-Gulf Cooperation Council US-dollar sukuk transactions that have ever been issued. The Indonesian Financial Service Authority (OJK) issued the first regulation on financial technology (fintech) lending activities in Indonesia, the OJK Regulation No. 77/POJK.01/2016 (OJK Regulation 77) dated 28 December 2016, concerning information technology-based lending services. This regulation is expected to support the growth of the fintech lending industry, or peer-to-peer (P2P) lending platforms in Indonesia as a new financing alternative to conventional financial services industries. The Indonesian government, namely BI and OJK, have issued several regulations in regard to the implementation of Basel III. Related key regulations include OJK Regulation No. 11/POJK.03/2016, dated 29 January 2016, regarding the Minimum Capital Adequacy of a Commercial Bank (OJK Regulation 11/2016). This regulation requires commercial banks to comply with minimum capital adequacy in accordance with the risk profile and to establish additional capital as a buffer. Provision of minimum capital shall be calculated by using the ratio of minimum capital adequacy and be set forth minimum at: (1) 8 per cent of risk-weighted assets (ATMR) for banks with a risk profile rating 1; (2) between 9 per cent and 10 per cent of ATMR for Bank with risk profile rating 2; (3) between 10 per cent and 11 per cent of ATMR for banks with a risk profile rating 3; or (4) between 11 per cent and 14 per cent of ATMR for banks with a risk profile rating 4 or rating 5. Tier 2, at the maximum of 100 per cent or Tier 1. Component of Tier 1 of the bank must be primarily dominated by high-quality capital instruments, namely common stocks and profit balance that forms part of Common Equity Tier 1. A component of Tier 1, namely Additional Tier 1, shall only include financial instruments that are subordinated with non-cumulative payment of dividend or yield that meet a number of particular criteria. In line with the improvement in quality of Tier 1, component and Tier 2 instruments have also been adjusted to include: (1) a capital instrument in the form of shares or in another form that meets the requirements referred to in the regulation; (2) agio or disagio deriving from the issuance of a capital instrument that is classified as Tier 2; (3) general reserve of estimated losses on assets upon productive assets at the maximum 1.25 per cent of ATMR; and (4) purpose reserve. A bank branch office domiciled overseas must fulfil the minimum capital equivalency maintained assets set at 8 per cent of the total obligation of such branch office every month at a minimum of 1 trillion rupiah. a capital surcharge for D-SIB in the range of 1 per cent up to 2.5 per cent of ATMR, which shall be applicable for a bank that is deemed to have the potential to be systemic. The obligation to establish a capital conservation buffer is being applied gradually from 2016 to provide sufficient time for the banks to establish such additional capital and is expected to be fully effective from January 2019. Under this regulation, banks shall maintain sufficient appropriate liquidity and report bank liquidity analysis to the OJK, calculated by using a liquidity coverage ratio (LCR) at the lowest rate of 100 per cent on an ongoing basis. The LCR itself is a comparison between high-quality liquidity assets (HQLA) with total net cash outflows over the next 30 days in a stress scenario. The requirement shall only apply to banks included in the BUKU 4 and BUKU 3 groups, the branch office of a bank domiciled overseas and foreign banks other than the branch office of the bank domiciled overseas. This fulfilment of LCR by banks has been implemented gradually since 2015 and shall effectively reach 100 per cent on 31 December 2018.
market-related monitoring tools, including market information, information on the financial sector and bank-specific information. 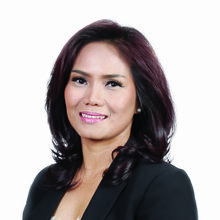 The Basel Committee on Banking Supervision Assessment of Basel III LCR Regulations in Indonesia in 2016 reported that the implementation of the key components of LCR, such as high-quality liquid assets (numerator), net outflows (denominator), net inflows (denominator) and LCR disclosure as contained in OJK Regulation 42/2015, is in compliance with Basel III. Complementing the regulation regarding LCR requirement, OJK Regulation 50/2017 stipulates that banks belonging to the BUKU 4 or BUKU 3 groups and foreign banks must maintain adequate stable funding, which shall be calculated by using Net Stable Funding Ratio (NSFR) at the lowest of 100 per cent. NSFR shall be the ratio between total stable liabilities and equity for a period of one year to finance the activities of the bank (available stable funding) and total assets and off-balance sheet transactions that need to be funded by stable funding (required stable funding). For the first time the obligation to fulfil a monthly NSFR was performed for the final report position of January 2018. Indonesia’s reformation of anti-corruption laws and institutions started with the ratification of United Nations Convention against Corruption on 18 April 2006, through Law No. 7 of 2006 regarding Ratification of United Nations Convention Against Corruption. Following the ratification, the government established several supporting agencies, including the internationally acclaimed Corruption Eradication Commission, the Corruption Criminal Court, Financial Transactions Analysis and Report Centre and the Witness and Victim Protection Agency. Prior to that, the century-old Indonesian Penal Code provided several principal provisions relating to criminal offences conducted by officials. Aiming to fill the gap left by the Penal Code, the government issued Law No. 31 of 1999, dated 16 August 1999, on the Eradication of the Criminal Act of Corruption as amended by Law No. 20 of 2001, dated 21 November 2001, which broadens the scope of parties punishable for corrupt practices to include not only state officials but also individuals and corporations, adds the types of activities categorised as corruption offences and increases the sanction for breach of provisions. Other penal sanctions are stipulated under Law No. 8 of 2010, dated 23 October 2010, regarding the Prevention and Eradication of Criminal Act of Money Laundering (Law 8/2010), which applies to an extensive list of proceeds from criminal acts, including those from banking and capital market sector as well as banknote counterfeiting. Penalties for money laundering under Law 8/2010 include imprisonment for five to 20 years, as well as a fine of 500 million to 100 billion rupiah. In terms of prevention of corruption, the government has included an open data policy under Law No. 14 of 2008, dated 30 April 2008, on the Disclosure of Public Information, which enforce citizens’ right to access public information. Following on from that, the recently enacted Presidential Regulation No. 13 of 2018, dated 5 March 2018, on the Application of the Know-Your-Beneficial-Owner-Principle by Corporations for the Prevention and Eradication of the Criminal Acts of Money Laundering and Terrorism Financing requires corporations to disclose the name of an individual beneficial owner. This is an addition to the existing disclosure regime in the financial sector issued by OJK through Regulation No. 12/POJK.01/2017, dated 21 March 2017, regarding the Implementation of Anti-Money Laundering and Prevention of Terrorism Financing (APU-PPT) Programmes in the Financial Sector and BI through Regulation No. 19/10/PBI/2017, dated 11 September 2017, regarding the Implementation of APU-PPT for Non-Bank Payment System Service Providers and Non-Bank Money Changing Service Providers. Reinforcing commitment to provide solution for environmental issues through environmentally friendly financing products, the OJK released Regulation No. 60/POJK.04/2017 regarding the Issuance of and Requirement for the Issuance of Environment-Oriented Debt Securities (Green Bond) on 21 December 2017. The regulation provides opportunities to gain additional funding, through the issuance of a Green Bond, for environment-oriented projects in 11 sectors, including those in renewable energy, water and wastewater management, environmentally friendly transportation and pollution control. Under the regulation, the issuer must use at least 70 per cent of the Green Bond proceeds to finance environment-oriented business activities. In July 2017, OJK issued Regulation No. 52/POJK.04/2017 on Infrastructure Investment Fund in the Form of Collective Investment Contract. This regulation provides a legal framework for the issuance of alternative infrastructure collective investment contracts (DINFRA). DINFRA is intended as a funding alternative for the development of infrastructure in Indonesia through securitisation of assets. It is an innovation to provide flexibility to investment managers in managing investment portfolios as DINFRA can be offered through public offering or not through public offering. Important points under the regulation include guidelines for issuance of DINFRA participation units, guidelines for management of DINFRA, collective investment contracts, transparency documents, recording, reporting obligation and dissolution of DINFRA. A foreign individual or a foreign entity not domiciled in Indonesia but who receives or accrues income from Indonesia will be considered as a foreign or non-resident taxpayer under the Income Tax Law. Interest payments made to a foreign lender, either a foreign individual or entity, will be subject to a 20 per cent withholding tax. If a foreign lender resides in a jurisdiction that has a tax treaty with Indonesia, the withholding tax rate may be reduced or eliminated under the provisions of the tax treaty. Indonesia has tax treaties with 65 countries, including Australia, Austria, Belgium, Canada, China, Denmark, Egypt, Finland, France, Germany, Hong Kong, India, Italy, Japan, North Korea, South Korea, Luxembourg, the Netherlands, New Zealand, Norway, Singapore, Spain, Sweden, Switzerland, Taiwan, the United Arab Emirates, the United Kingdom and the United States. Registration and notary fees for security over land (mortgages) and fiduciary securities are normally applied based on the value of the secured amount. c for a security values above 1 billion rupiah, the fee can be determined as agreed between the notary and the relevant party with a maximum 1 per cent of the security values. For documentary taxes, any agreement signed by the parties with a transaction value above 1 million rupiah is subject to a stamp duty of 6,000 rupiah. On 18 March 2010 the government of the United States issued the Foreign Account Tax Compliance Act (FATCA) to overcome tax avoidance and tax evasion by US citizens who conduct direct investment through overseas financial institutions or indirect investment through overseas ownership of companies. In relation to the application of FATCA in Indonesia, the government of Indonesia and the US reached an ‘Agreement in Substance’ through an intergovernmental agreement (IGA), which came into effect on 30 June 2014.8 To comply with the provisions of FATCA, the government of Indonesia has decided to pursue a reporting model on the basis of an agreement agreed between the government of Indonesia and the government of the United States of IGA 1B.9 Under the agreement, the government of Indonesia has committed to provide data and information on US taxpayers to the US government. The implication of this agreement is that the Indonesian financial institutions and companies that are categorised as foreign financial institutions and certain non-financial foreign entities are required to identify accounts belonging to US citizens, to provide information about such accounts, and to provide information on US nationals who have accounts of foreign companies (in general more than 10 per cent). In relation to the lending transactions and activities in Indonesia, this information includes the income received by US citizens or related companies in the form of interest including premium, discount and fees from providing guarantee in relation to loan transactions. In order to support the tax avoidance and the tax evasion prevention programme, the government issued the Minister of Finance Regulation No. 125/PMK.010/2015 dated 7 July 2015, which has recently been amended and replaced by the Minister of Finance Regulation No. 39/PMK.03/2017 on the Procedure of Exchange of Information based on International Agreement. The OJK has also issued Regulation Number 25/POJK.03/2015 on the Information Disclosure of Foreign Customer related to Taxes to the State Partner or Jurisdiction Partner. These regulations has become the legal basis for the Indonesian Financial Institutions for reporting on its customers’ data and information to the tax authority of the states partner or jurisdictions partner. In the data and information reporting process that relates to FATCA, OJK provides a reporting system for US customers that can be used by the Indonesian financial institutions to submit a report to the OJK and then forward it to the Directorate General of Taxes (DGT) as the tax authority in Indonesia. Further, the report will be submitted by the DGT to the Internal Revenue Service. In relation to the provisions on the Indonesian Banking Law, which regulates bank secrecy and customer accounts confidentiality, the government is now in discussions to make a revision of such provisions to be in line with the implementation of FATCA in Indonesian banking and financial institutions activities. In furtherance of this ratification, the government of Indonesia has also signed a Multilateral Competent Authority Agreement on Automatic Exchange of Financial Account Information. The government is committed to implementing this agreement by using the Common Reporting Standard issued by the Organisation for Economic Co-operation and Development. Indonesia is expected to conduct the first reporting in 2018 and in preparation for the exchange of information, the government has issued a regulation as a basis to implement this policy as regulated under the Government Regulation in lieu of Law No. 1 of 2017 on the Financial Information Access for the Interest of Taxes and several implementing regulations, among others, the Minister of Finance Regulations No. 39/PMK.03/2017 on the Procedures on Exchange of Information based on International Agreements. The most common forms of security under Indonesian law are described below. Security rights over land (Hak Tanggungan) may also be understood as mortgage in other jurisdictions. Security right over land is commonly taken to secure land with land titles and all fixtures attached to it for the purpose of securing the repayment of loans. Security rights over land are governed by Law No. 4 of 1996 on Security Rights Over Land Including Objects Related to the Land (Law 4). Under Law 4, security rights over land will not entitle the security rights holder to ownership of the land title upon the borrower’s default. The law, however, grants the security rights holder the right with executorial force to sell the land when the borrower is in default, either privately or through public auction, to satisfy loan repayments from proceeds of the sale. The security rights holder will be entitled to the preferential right for the debt settlement over the other creditors. A deed of grant of security rights over land must be drawn up by and signed before the land deed officer of the jurisdiction where the secured land is located. The deed must be drawn up in the official Indonesian language, Bahasa Indonesia, and in the form provided by the land deed officer. Subsequently, the deed of grant of security rights over land must be registered at the relevant land registration office of the National Land Agency. The security rights over land is effective on the date of registration in the land register maintained by the relevant land registration office. Upon registration of the security rights, the land registration office will issue a certificate of security rights over land to the security holder. Fiduciary security is the common form of security over movable assets, either tangible or intangible, and certain immovable assets such as buildings that cannot be the subject of security rights over land under Law 4. Movable assets that can be taken as fiduciary security include machinery, raw materials, inventory and vehicles. Receivables can also be taken as fiduciary security. Fiduciary security is governed under Law No. 42 of 1999 on Fiduciary Transfer (Law 42). As with security rights over land, fiduciary security grants the fiduciary security holder the right with executorial force to sell the secured assets, either privately or through public auction, when the borrower is in default. The fiduciary security holder is also entitled to the preferential right to debt settlement over other creditors. A deed of fiduciary transfer agreement must be drawn up by and signed before a notary. This fiduciary deed must be in Bahasa Indonesia and is to be the accessory contract to the underlying loan agreement between the lender and the borrower. Under this deed, the borrower (transferor) transfers the legal title over the secured assets to the lender (transferee) for so long as the debt remains outstanding. The fiduciary deed must be registered at the relevant fiduciary registration office. The fiduciary deed is perfected on the date of registration in the fiduciary register maintained by the fiduciary registration office. Upon registration, the fiduciary registration office will issue a certificate of fiduciary security to the security holder. A pledge is a form of security that can only be taken over movable assets, either tangible assets (such as machinery, equipment and vehicles) or intangible assets (such as shares, account receivables, bonds, debentures and patent rights), to secure a specified loan. Pledge security is governed under Articles 1150 to 1160 of the Indonesian Civil Code (ICC). Under the ICC, a pledge must be made by agreement between the debtor or the borrower (pledgor) and the creditor or the lender (pledgee). Indonesian law does not require the pledge agreement to be made as a notarial deed or as a private agreement. However, in practice, pledge agreements are normally made in the form of notarial deeds for the purpose of evidencing in court and execution. In addition, pledge agreements may be attached with a power of attorney to sell the pledged assets, providing the pledgee to sell the pledged assets privately without using a public auction mechanism. Pledges entitle the pledgee to the preferential right over other creditors to satisfy loan repayments from proceeds of the sale of the pledged assets. The perfection of pledge security may be different depending on the form of the pledged assets. The establishment of a pledge can be described as follows. A pledge over tangible movable assets, such as machinery, equipment or vehicles, will be effective on the deliverance of the goods to the pledgee. The pledged assets must be in the possession of the pledgee. A pledge over intangible movable assets, such as receivables, will be perfected upon the notification of the pledge to the concerned party, by which the right of pledge will be enforced against the concerned party. A pledge over shares will be effective upon the notification and recording of the pledge in the share register of the relevant company. If the shares are in certificated form, the original certificate of shares must be delivered to the pledgee. For shares listed on the IDX, the pledge can be established upon the notification of the pledged shares to the company and the recording of the shares by the Stock Administration Bureau appointed by the company in the company’s share register. If the shares are listed in scriptless form, the pledgor must also notify the Indonesian Central Securities Depository, and it will certify the pledged shares. By the enactment of Law 42, land can only be taken as security under security rights over land, and not under hypothec. Hypothec is a form of security that can be taken over immovable assets that cannot be secured by security rights over land. Hypothec can be taken to secure the borrower’s assets in the form of vessels and aircraft. Further, the ICC stipulates that only vessels with a gross weight of 20 cubic metres or more can be encumbered by hypothec. Vessels below this weight may be taken as security under fiduciary security or a pledge. In general, hypothec is regulated under ICC Articles 1162 to 1232. Under the ICC, hypothec must be made by a deed of hypothec agreement between the creditor and the borrower, and the deed must be registered in the public registry. Indonesia currently has no unified, specific regulation on shipping or aircraft hypothec. In relation to shipping hypothec, Indonesia’s shipping industry is of the view that the lack of a comprehensive law on shipping hypothec raises challenges to realising Indonesia’s aim to be a leading country in the maritime industry. Government action is, therefore, sought and urgently needed to improve the regulatory framework, particularly in financing Indonesia’s shipping industry. Guarantees are commonly used under the Indonesian jurisdiction. Based on ICC Article 1820, a third party (either a personal or corporate guarantor) may guarantee the fulfilment of the borrower’s debt to the lender by the consent of such guarantor. A guarantee can be established by a written agreement made by the guarantor and the beneficiary, either in the form of a notarial deed or a private agreement. Indonesian law does not require that the guarantee agreement must be registered for it to be perfected. It is important to note that the legal capacity to act as a guarantor is subject to the guarantor’s incorporation documents (if the guarantor is in the form of a corporation or PT). The guarantor must be permitted by its incorporation documents to act as a guarantor for the other party’s (borrower’s) debts. The guarantor must also obtain relevant internal approval, if any, as governed under its incorporation documents. The lenders are, therefore, recommended to check if the requirements mentioned above are satisfied under the relevant incorporation documents. If the requirements are not met, the guarantor would be considered as having no legal capacity to act as a guarantor, and, therefore, the guarantee cannot be enforced against such a guarantor. In this case, the director of the company who acted and conducted the execution of the guarantee agreement on behalf of the company without complying with its incorporation documents would be held personally liable for the guarantee. Forms of credit support such as quasi-security structures are not common in Indonesia. With respect to enhancing a creditor’s protection against a debtor, the parties may enter into any agreements that can bring benefits to supporting the loan transactions, such as indemnity, performance bonds, bank guarantee, standby letter of credit or negative pledge undertakings as a clause in an agreement. Based on ICC Article 1338 stipulating the principle of freedom of contract, parties having legal capacity may enter into an agreement, and such an agreement will apply to the parties as statute (provided that the contract has no illegal purpose or duress). 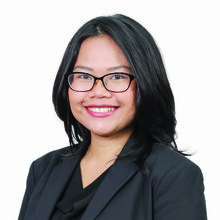 However, the execution of certain agreements as a form of credit support will not be recognised as security rights under Indonesian law, and will only bind the parties as contractual obligations and will not grant preferential rights to debt settlement over other creditors as a security right. Under the ICC, creditors who hold security rights will have a higher rank and are entitled to preferential rights over unsecured creditors. Therefore, creditors who hold security rights over land, fiduciary security, hypothec or pledge will have the highest rank, unless privileged rights are attached to the secured assets, such as unpaid taxes attached to the assets, court charges resulting from the disposal of the assets or legal charges caused by the sale and saving of the assets. Proceeds from the sale of the secured assets must be made available firstly to the party that holds privileged rights, then the remainder shall be made to the secured creditors. Under Indonesian law, the priority of competing security interests will be determined by the time of registration of the security with the relevant public registry or relevant authorities. The first lender to register security rights over the secured assets will hold first priority to the security, and the second lender to register the security rights over the competing secured assets will hold second priority to the security. On enforcement of the security, the lender who holds the first priority will have a preferential right to receive the proceeds of the sale of the secured assets. The remaining proceeds of the sale will be given to the lender holding the second priority ranking. This priority ranking of competing security interests is only applicable to security over land and hypothec as permissible under the ICC. Other forms of security, such as fiduciary security and pledge, are not applicable for any ranking, as the security asset cannot be granted to more than one holder. Subordination of debts within lenders is possible to be conducted in Indonesia through contractual arrangements. This can be effected through inter-creditor agreements between the lenders and, if required, the borrower. This agreement may set out priority ranking among the lenders over the secured assets. It should be noted that in doing transactions in Indonesia, the Indonesian Company Law and the articles of incorporation of an Indonesian company normally stipulate certain requirements to obtain corporate approval from the company organs, such as shareholders or the board of commissioners. Under the Company Law, the board of directors must obtain shareholder approval to encumber the company assets having a value of more than 50 per cent of net assets in one transaction or more, either related or not to each other. The absence of corporate approvals, when it is required, would legally affect the validity of the transaction documents including, in this context, loan agreements, security or guarantee agreements, and they might then become unenforceable. This will cause the directors to be held personally liable for any loss in relation to such provision of the agreement or guarantee or security. Therefore, it is important for the lenders to take into account the provisions of incorporation documents to make sure any requirement of corporate approvals are satisfied, so the security or guarantee securing the loans would be valid and enforceable. In practice, the lenders would typically require the borrower to provide written confirmation on the fulfilment of such internal corporate requirements. In the case of a default, securities that grant executorial rights to the security holder can be enforced without a court judgment or court order. However, in practice, for legal certainty in the security enforcement and to avoid any challenges from other parties, a court order would be necessary. The sale of security assets can be made through public auction. However, a private sale would be permitted in the case that the private sale would generate a higher sale price for the creditor and the owner of the assets has consented to the private sale. In bankruptcy proceedings, the creditors may enforce security rights against the secured assets as if there were no bankruptcy. In the case of insolvency, the lender is given time to enforce security within two months of the time the borrower is declared insolvent. If the security is not enforced after two months, the curator or receiver of bankruptcy will take over the enforcement of the security. In the Indonesian jurisdiction, no prohibitions or restrictions exist on conducting lending arrangements, in particular to provide financial assistance by guarantee or security to secure the loan of a party in connection with the purchase of its shares, its subsidiary or affiliate shares, provided that it is conducted within the law and the articles of incorporation. It must also be conducted with respect to the ultra vires doctrine, whereby the action must be conducted within the purposes and objectives of the company and in the interests of the company. The director’s fiduciary duty must also be taken into account by ensuring that all necessary corporate approvals are obtained to enable the director to conduct the transactions. In loan transactions in Indonesia, legal opinions are typically made to the lenders on the legal capacity of the borrower and the validity and enforceability of transaction documents and security interests. 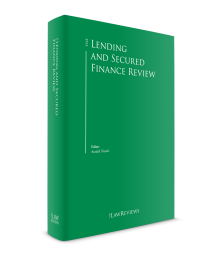 The legal opinions are normally addressed and made available only to the lenders, and the disclosure of the opinion is typically limited to the counsel and the lenders. Choice of foreign law as the governing law is recognised by Indonesian courts as a valid choice of law in an agreement. In financing agreements, choice of foreign governing law is not permitted for securities or guarantee agreements. These agreements must be governed by Indonesian law in order that they are able to be enforced by Indonesian courts. Foreign judgments cannot be enforced by Indonesian courts on the basis of territorial sovereignty under the Indonesian Code of Civil Procedure. To be enforced in Indonesia, cases with a foreign judgment must be re-examined at the relevant Indonesian court. The foreign judgments may be treated as evidentiary documents; however, Indonesian courts will not be bound by the findings of the foreign court in the foreign judgments. Loan trading is commonly effected in Indonesia by an assignment, which under Indonesian law is recognised as cessie. The assignment can be perfected by the acknowledgement of the debtor on the assignment, therefore, binding the debtor to fulfil its obligation to the new creditor who receives the assignment (assignee). The absence of debtor acknowledgement on the assignment will not affect the debtor’s obligation to perform its loan repayment to the first creditor, although the assignment agreement has been executed. The debtor is entitled to choose to continue performing its obligation to the first creditor. The assignment of debt that is secured by security interests, such as security rights over land, fiduciary security or pledges, will include its security to be assigned together with the secured debt. The assignee of the debt would benefit from receiving security rights along with the debt. For the perfection of the security rights, the assignee must notify and register the debt assignment and its security rights with the relevant public registry. The government of Indonesia is prioritising infrastructure development in Indonesia, but so far it has been dependent mostly on the state budget and state-owned enterprises to deliver the projects. This is more than likely to change in the near future, as the government has made efforts by introducing regulatory reforms to establish a more attractive and conducive atmosphere in the coming years for international agencies and private sector finance participants in infrastructure. 1 Sri H Rahayu is a managing partner, and Indra Prawira and Indriana Pramesti are associates, at Rahayu & Partners in association with HFW. 2 PWC’s Publication, ‘Exploring Alternative Solutions to Infrastructure Financing’, 2017. 3 JBIC Press Release, ‘Project Finance for Expansion of Cirebon Coal-Fired Power Plant in Indonesia’, https://www.jbic.go.jp/en/information/press/press-2017/1114-58532.html. 4 ADM Capital, ‘ADM Capital and Partners Announce Inaugural Transaction for Indonesia Green Lending Platform’, http://admcapital.com/adm-capital-and-partners-announce-inaugural-transaction-for-indonesia-green-lending-platform/#. 6 Law Number 7 of 1983 concerning income tax as lastly amended by Law No. 36 of 2008 on the Fourth Amendment of Law No. 7 of 1983. 7 Government Regulation No. 21 of 2015 dated 6 April 2015 on the Procedures for Registering Fiduciary Security Rights and the Fees for Preparing Fiduciary Transfer Deeds. 9 OJK Quarterly Report 2016 (Quarter I). 10 OJK Press Release No. SP16/DKNS/OJK/III/2017 dated 3 March 2017, ‘OJK Issues Regulations to Support Automatic Exchange of Tax Information’.